Many members of our Zieggy Tribe can rattle off the components of the Zieggy Essentials message when asked. The T.W.I.N.S. mantra is close to our hearts. 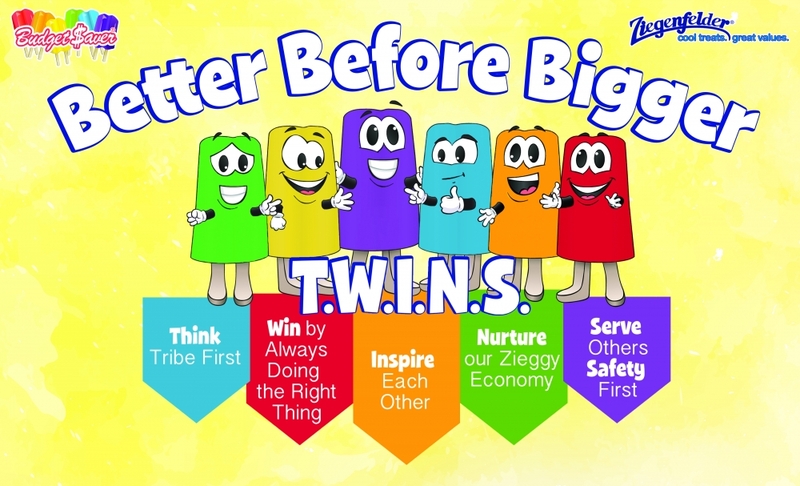 With the demand for our pops expected to increase during the summer season, our Zieggy Tribe works to keep the Zieggy Essentials in the front of our minds. We remember the impact of our jobs by seeing a future brightened by inspiring people and impacting lives. By keeping these words in mind, we realize we WILL achieve our goal of making people smile with our really cool treats.